Finding the house of your dreams is often a stressful affair. Searching, haggling, and qualifying for a loan will take a toll on any buyer, no matter how experienced. Once the appraisal comes in and contracts are signed, most buyers are tempted to kick back and wait with excitement for closing day so they can move in. But there is one final, extremely important thing to do before closing. You need to do a final walk-through. Many buyers mistakenly use the final walk-through as a means to get one last-look at their dream home before they move in. They start planning how furniture will be arranged and which room will be used for which purpose. However, the final walk-through is your absolute last chance to make sure everything is in working condition or is as presented in the contract. If it’s not, you can still raise an issue or even back out of the deal. If you use your final walk-through to thoroughly inspect your future home, you might just avoid costly repairs or extra work on your part further down the road. When you walk in the door, turn on the dishwasher, the oven (and the oven light and fan), the washing machine, and the dryer. Also, flush all the toilets to make sure there are no leaks. Is everything in good working order? If something seems peculiar, ask about it and make sure you’re satisfied with the response, or have someone come out and inspect it, just to make sure. Turn on every faucet and shower head in the house and then turn them off. Do they drip? How’s the water pressure? Also check the pipes underneath the sink and in the basement to make sure there are no leaks. Turn on the central heat and central air. Are they working? Stick around the house long enough to actually feel that the temperature has changed and that you’re not just hearing and feeling the fan blowing. If your new home has a home security system, does every keypad work? If some rooms have fans operated by remote control, are the controls there? Many homeowners unwittingly pack remotes when they move, so make sure everything you need is in place. Make sure all lights and switchplates are in place. Some buyers who invest in high quality or artistic lights and plates forget to specify in their contract that they’ll be taking these items. Then, during the packing process, they throw them in a box. Make sure that every light and switchplate that should stay in the house is actually there. The sellers may have been required to make certain repairs or upgrades before closing. Make sure that these home improvement projects are finished, and finished well, during this last walk-through. Don’t be shy either. If something truly isn’t finished to your satisfaction, bring it up and get it resolved before you move in and have to deal with it. Sellers are required to leave the house clean and free of their possessions. Make sure the home, including the inside of the refrigerator, the garage, the yard, and any outbuildings are empty and clean, unless specified otherwise in your contract. This is especially important when it comes to large or hazardous items; you don’t want to be stuck having to remove them yourself. A professional home inspector should also look at the home before you buy. For most lenders, this is even a requirement. However, don’t assume they’ll catch everything. 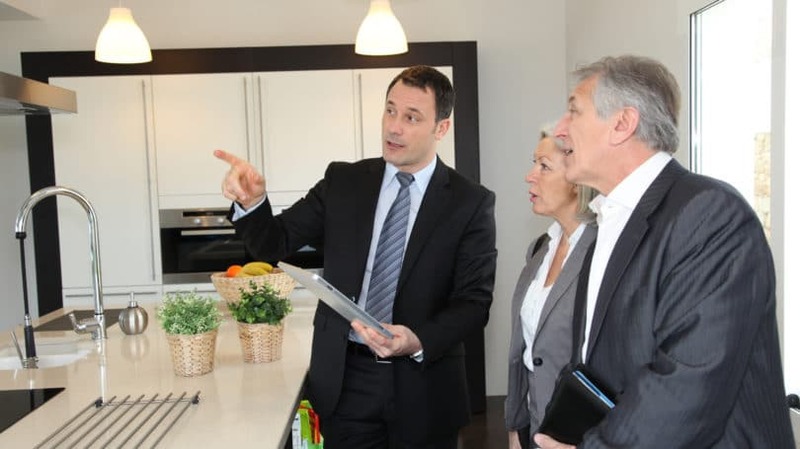 You need to be just as diligent in your final walk-through as if a professional home inspection had never been done. It’s also a good idea to purchase, or better yet, have the seller purchase a good home warranty that will take care of repairs during your first year, such as with the central heat/air, your plumbing, and your trash disposal unit. If it hadn’t been for my real estate agent, I would have made a mess of my final walk-through and missed a few items that needed to be addressed. I was so busy planning out each room (e.g. bedroom interior design ideas) that I didn’t think to check anything until she gently reminded me what we were really there for. When it’s time for your final walk-through, go over these areas first. Only then can you goof off and start planning out your new home!